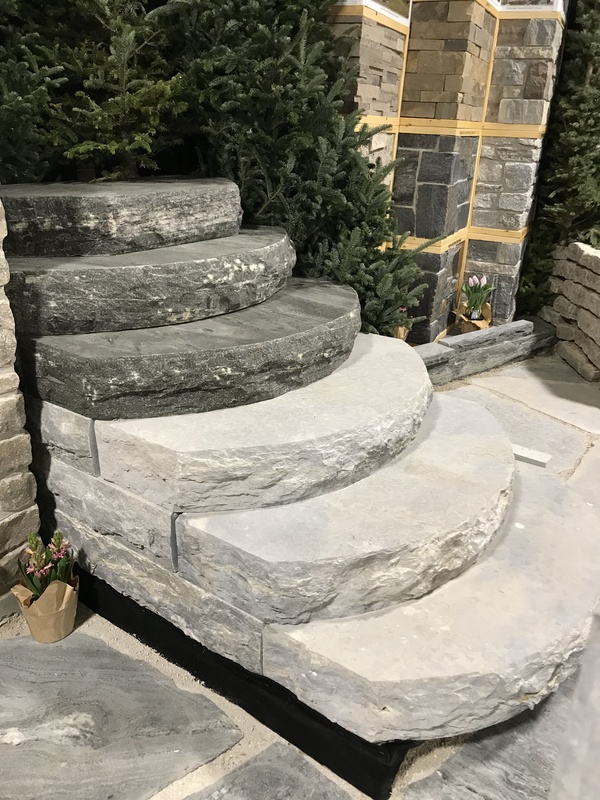 Half Round Steps – Colonial Brick & Stone Inc.
We’re excited to offer several new items this year! Two of them are our Half-Round and Hexagon Natural Stone Steps. These steps are available in several different sizes and kinds of stone and can be custom made for specific needs. Their durability makes them ideal for high traffic areas as well as areas that need salt and other ice-melt chemicals. Their non-slip textured finish offers excellent traction even when they’re wet. Adding Natural Stone increases the value and curb appeal of your project, and these steps are no exception.